One custom-made 18 karat yellow gold and enamel brooch/ pendant. Five freeform pearls. 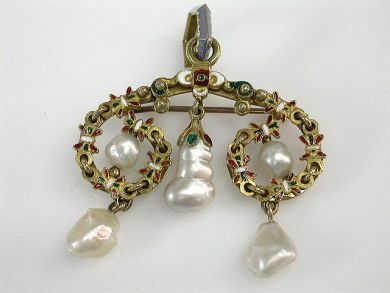 The piece has a red and green enamel wreath style design.